Anyone familiar with the Star Wars universe will know all too well that the Battlefront series is perhaps one of, if not THE most successful set of games in the Star Wars universe. 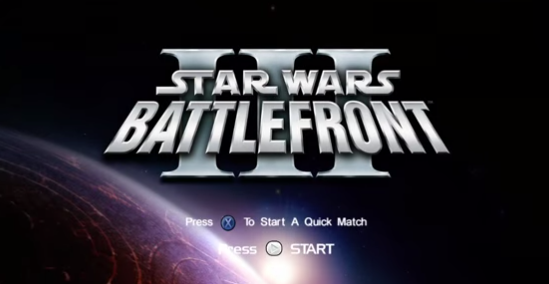 Battlefront 2 was and still is one of the best and most popular games among fans of the universe, and is still played online to this day through Game Ranger services on PC. Most fans were ecstatic when they learned of the (at the time) impending third instalment to the series. Unfortunately though, this project was scrapped right when it was about to be finished (according to LucasArts) due to financial reasons. Fortunately though, there has been a recent leak of footage from the pre alpha build of the game. Youtuber and Se7ensins user, bananaswag has brought us this footage. The footage was taken from an Xbox 360 port of the game and as such, is very unstable. The footage outlines some general gameplay and shows off some features of the game, but unfortunately it is not very high quality and there are some jitters within. The fact that the game looks so incomplete and in reality, bad, does not strengthen LucasArts claims of the game being “99% finished” but alas, here we are. Of course this footage could be a much earlier build than what LucasArts claims the game to have been on when scrapped, but it does lead to questions. We get a chance to check out the main aspects of the game in this gameplay footage. We get to see the character models, their movements as well as their other actions. We also get to see some vehicle footage and get to see how they work, which is nice, because vehicles tend to play a large part in the Battlefront games. As well as this we get to see the menus (which for an early build look rather nice if I say so myself) and other niceties. More importantly though we get to see some hero action! The heroes were a large factor in the previous games, allowing you to take control of a well known and loved character from the series and use their special abilities. So if you were given a jedi you would of course have full use of your force powers and lightsaber, while other playable heroes included the blaster wielding bounty hunter Fett duo or the wookie, Chewbacca. It is hard to identify new gameplay features in this build from the previous games, but I’m sure there are some present and would have been some in the final build, had it been released. Without further ado, please enjoy the two gameplay videos and don’t fret about missing out on this gem too much, because another instalment is in the works anyway!